My hair, it has been a journey ever since my last perm in my teens to win that volume back without having to look like something taken from a fashion magazine a la 80’s. I’m Swedish and have inherited the hair of my country, fine, fragile and super soft, and I admit, with the help of occasional highlights, I remain as blonde as I was in my youth. I have tried products to give that va va voom volume. Shampoo’s promising noticeable bounce from first use to hot rollers giving me volume that will last me until, well realistically, lunch. Cans of hairspray to keep it all intact, and my own trick, the back combing. It’s a lot of work just to get that lush volume. Mini crimping my roots which allows me to have my hair let down up to one day after wash without my ears piercing through it like those of elves. Cute yes, on a child. 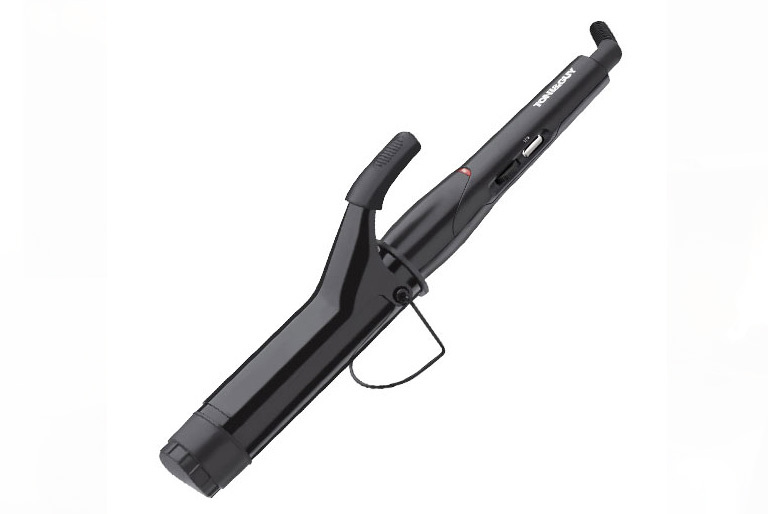 So imagine my smiles and hopes when I received the Toni & Guy Glamour Jumbo Tong in the post. What will this bring I wondered. I googled some tricks on how to curl my hair, found many very complicated videos and tutorials, with that I decided to venture into this on my own. I have used a bigger barreled tong like this back in the day but I didn’t get the hang out of it then. I now know that that was all due to me not doing it right, it’s all about the angle of the tong. So I have now learned after some attempts that I get the best result for my length and thickness of hair and to give the effect I want is by holding it horizontally, it makes such a big difference! So what makes this one so special you wonder. 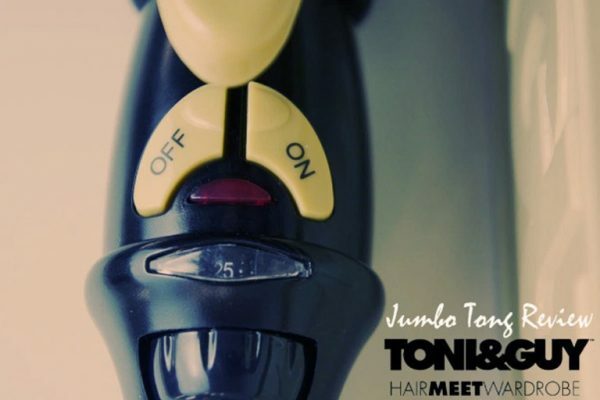 One thing I noticed that really did it for me is that the heat setting has a wider range to work for all types of hair, with my fine hair this is so important as it gets damaged so easily. The tongs heats up very fast so there’s no need to wait. 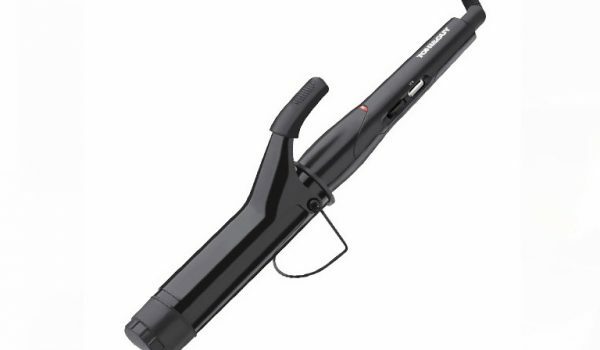 It has a ceramic tourmaline coated barrel, which means it gives the hair a shinier and healthier looking finish. Also it has a cool tip, which is so very important, the amount of times I have burnt myself on hot tools when magically trying to create my dream volume is ridiculous. So I am super happy about this feature. I feel however I need to mention that this size tong will give you loose curls or waves so don’t expect to get a massive amount of strong curls, that’s not what it’s for, and if that’s what you want you need a smaller barrel. This beauty will give you glamorous and sultry curls or waves, and that was exactly what I have been in search for all these years! 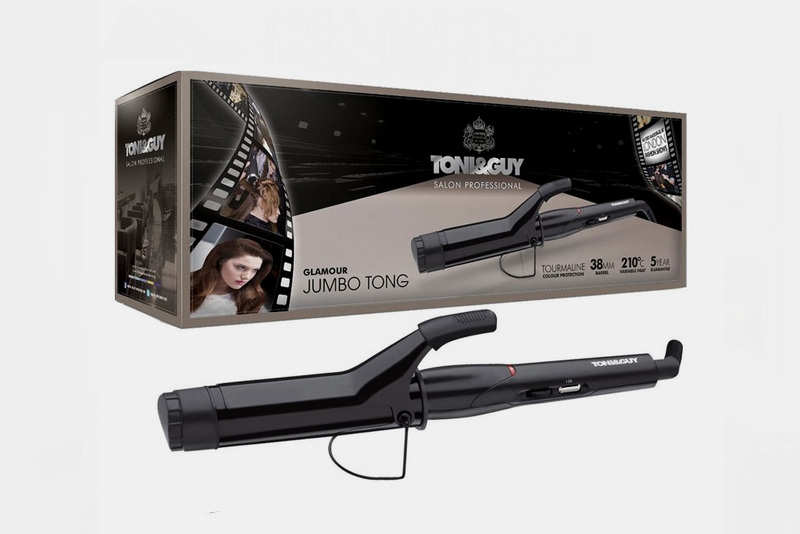 The Toni & Guy Glamour Jumbo Tong is available online and in retailers nationwide.